As a part of Wooster's Self-help philosophy, students are given complete responsibility for the physical environment of the school. Each day at Wooster, students participate in a "Jobs" period. Every senior is assigned a job area, where they are in charge of managing the younger students as they all work together to clean the campus and maintain order in their building or area. Dr. Tyrone Black, Director of Middle and Upper Schools, welcomed everyone to the ceremony. "This is a grand day; a day to celebrate the hard work and dedication of our seniors, while at the same time applaud our juniors for being chosen for the great tasks that lie ahead." Bill Rexford, Assistant Director of Student Life, spoke briefly, explaining the tradition of this ceremony. "The values and traditions we celebrate together today are deeply rooted in our past. The ethos of Self Help was alive with the Generals who have come before you, is a part of all of us today, and will be a part of all of those who are yet to come." 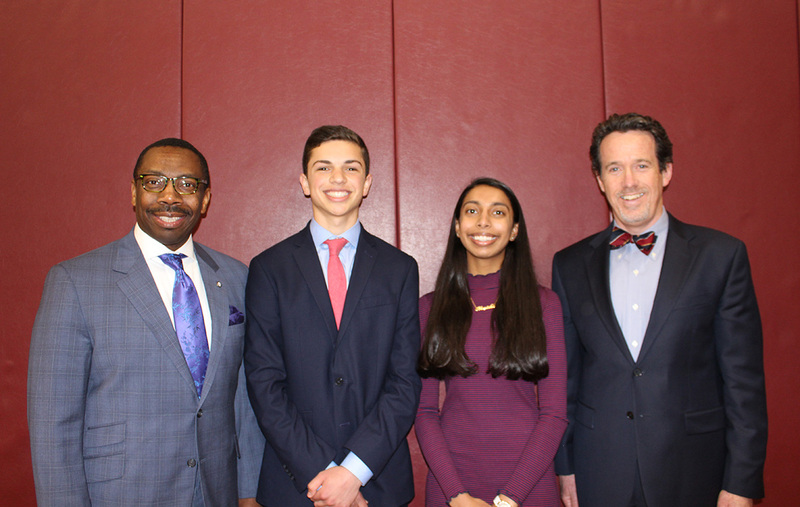 After Mr. Rexford concluded his speech, Head of School Matt Byrnes shared his remarks before announcing the class of 2020's leadership positions. "Whether you are a Senior Prefect, Prefect, Proctor or Captain, you are all in the same place. You have an opportunity. You have an opportunity to learn, to work hard, and to have fun doing it. You have an opportunity to be a role model -- for your senior classmates and those underclassmen who you are being asked to lead. You have an opportunity --- as a class – to build on the legacy that has been established and strengthened by those that have come before you. If you seize the opportunity and work together you will all be rewarded in many different ways. The school and our underclassmen will be rewarded as well." Attached is the entire list of 2019-2020 Senior Leadership Positions. 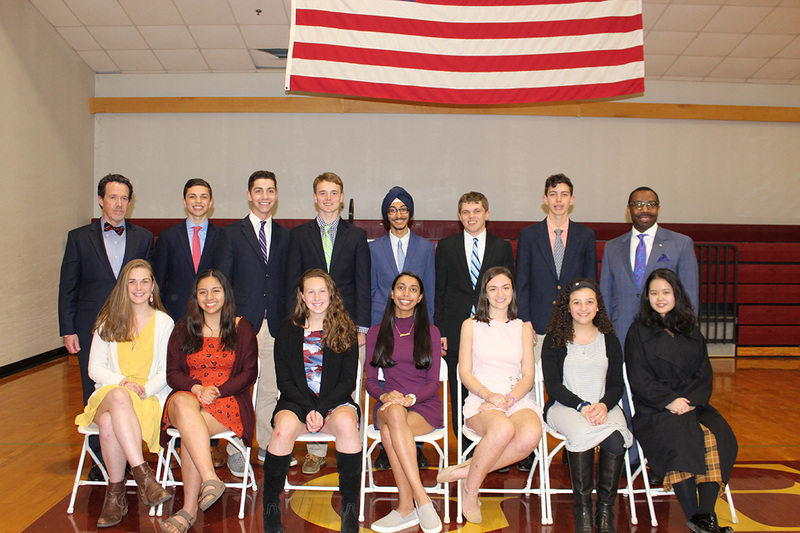 Back row: (from left to right) Head of School Matt Byrnes; Ollie Felicione, Max Morales-Thomason, Colin Costigan, Sartaj Singh, Ben Everett, Charlie Stuhr, Director of Middle and Upper School Dr. Tyrone Black, Front row: (from left to right), Michaela Zahner, Melanie Vazquez, Meghan Bourgeault, Monisha Mohan, Ali Bratter, Riley Damiano, Summer Qian after receiving their positions as Wooster School Prefects.